If I knew how beneficial getting regrammed by a brand on Instagram was 3 years ago, I’d be laughing now. Sure, it’s not all about the followers, but building your Instagram following also comprises of a number of factors like ‘Can you actually take nice pictures?’, ‘Do you have a theme?’ ‘How much do you engage with others and post?’. But since that algorithm launched and has slowly grown into an incurable disease, what ways are left to actually boost your following quickly, without paid ads, comment pods and dare I say it, Instagram bots? My follower account has stagnated for months, and whilst my motivation has waned to continually post, I’ve found that the only way you can really boost your following organically in a very quick period of time is getting regrammed by a big brand on Instagram. I’m talking about gaining between 100-300 new followers in one day. With the potential level of exposure you can gain by reaching millions of followers it seems like a dream too good to be true, but it begs the questions; how do I get regrammed? How do I know what certain brands are looking for? And will I have a chance when X account is tagged in thousands of pictures every day? It does seem impossible until it’s done. With 2,700 followers on Instagram, HEY I’m no influencer from the stars, but I’ve been regrammed from a variety of brands I idolise with a massive following including ASOS, Primark, Boohoo and Made.com. Once you know what to do and what makes each brand tick, anyone can get a regram, and you don’t need 20k + followers or a sponsored ad to get it, KA-CHING. 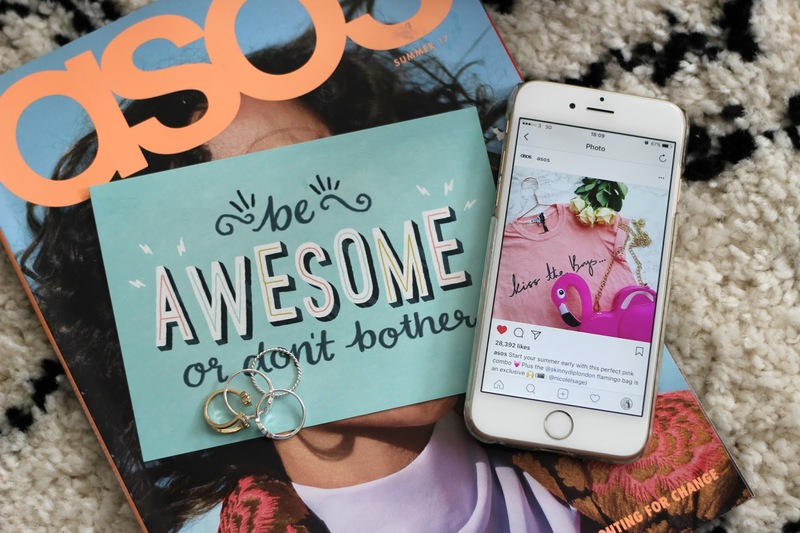 We all have aspirations of getting a regram from one of our favourite brands, mine were always ASOS & Primark. I always loved their content, knew it quite well and of course, always had one outgoing bank payment to them, which does help. You need to really learn what makes the brand tick on Instagram, do they already share bloggers images or customer photos on their feed? Do they mostly do model shots or product shots too? It’s also worth bearing in mind that some brands NEVER share bloggers photos even if they’re amazing quality and fit their theme, from what I’ve seen H&M and Zara never do, so it’s not even worth bothering with brands like this. Another thing worth thinking about is, has the brand already shared an image of the product you want them to regram? If it’s a yes there is a 95% chance they won’t share one like it again, Primark and ASOS for example have thousands of products and they never seem to share the same product more than once. Flatlays are great, there’s so much to look at, so many brands to tag, an Instagram dream, but unless it’s a much smaller brand on Instagram, the brand may like your photo but it has little chance of getting a regram. This is very much brand dependent, but with fast fashion, items of clothing from major fashion retailers are never here for long until the next season of clothing comes around. Using old items of clothing or products that are no longer available on the site stand little to no chance of getting regrammed, soz. It makes sense really – brands aren’t going to be pushing products to millions of customer’s that the said customer’s can no longer buy. Stick to current items that you know are still sold and are current, and again, that the brand hasn’t featured before. When uploading the image to Instagram, tag the brand in the photo and in the caption, brands are tagged in hundreds of photos every day so you need every chance to make yourself as visible as possible. It’s worth noting if there are any specific hashtags that the brand uses too to discover the image, such as for Oliver Bonas – #OBStyle and Missguided #BabesOfMissguided. Make sure all angles are covered so you have more chance of being noticed. 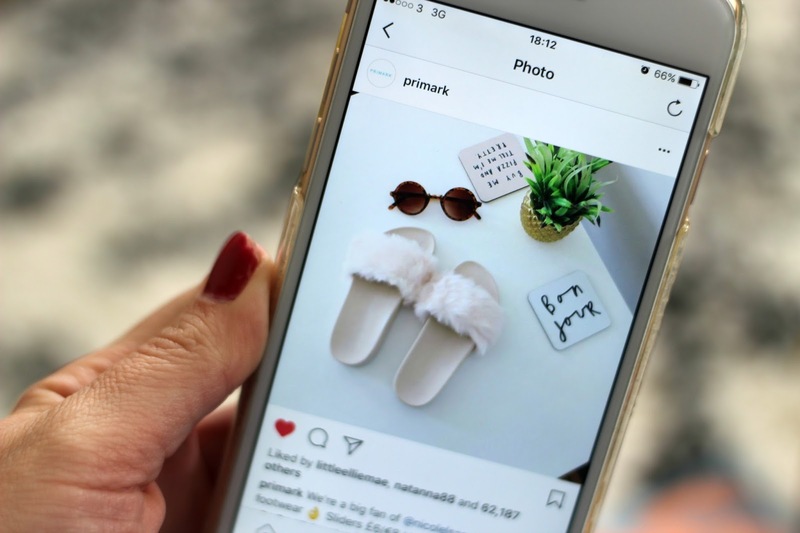 It’s also worth posting the same image on Twitter and tagging the brand account as on one occasion Primark picked up my image on Twitter instead and used on it on Instagram from there. Duh. So yeh, this goes without saying, but even if you meet the above criteria a brand will not regram your photo if it is poor quality, dark and (potentially) if it doesn’t fit with the colour scheme of their brand, lame I know. Some pre-research on the brand’s insta will help with whether you need to stick to a colour palette or not. Generally spoeaking when I take any picture I always ask myself ‘Would I like it?’ If the answer is no, retake it and try again. Do you have any tips on how to get regrammed on Instagram?